This striking ring, new for Cruise 2019, is designed in a starburst shape with a freshwater pearl at the center. 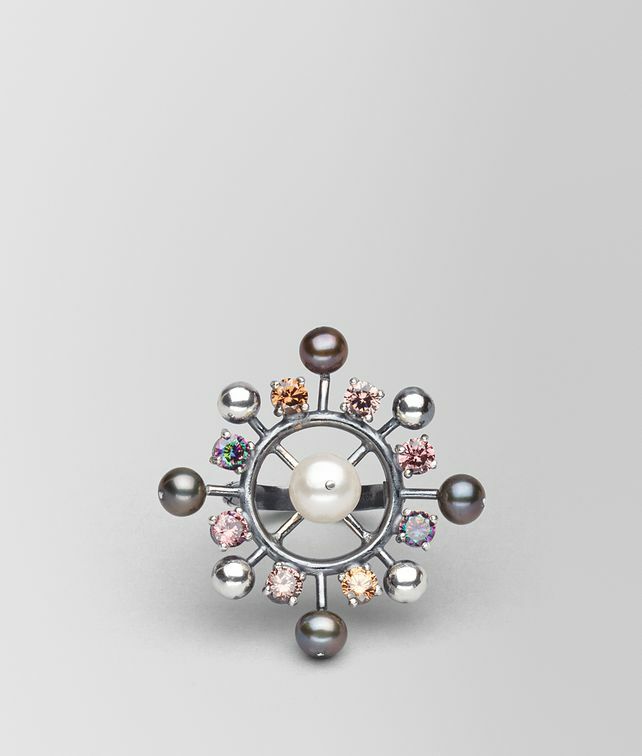 The ring of stones that surrounds it is made from a combination of freshwater pearls and cubic zirconia. The band is engraved in the intrecciato motif. Diameter: 3.5 cm | 1.3"